NEW YORK (AP) It's a century-old miscarriage of justice that still haunts anyone who knows of it, and will surely disturb viewers introduced to this tragedy in "The People v. Leo Frank," a powerful retelling that premieres Monday on PBS at 10 p.m. EDT. 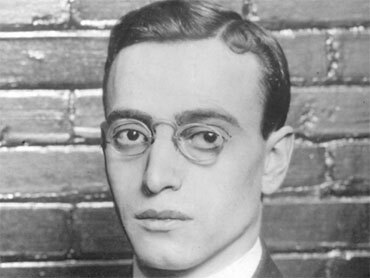 In a rich blend of experts' accounts and dramatic re-enactments, the 90-minute film revisits the case of Leo Frank, a young Cornell-educated Brooklyn native who was plant supervisor of the National Pencil Co. in downtown Atlanta. On a Sunday morning in April 1913, the bludgeoned, sexually molested body of Mary Phagan, a 13-year-old factory girl, was found in the building's filthy basement. Within weeks, Frank, professing innocence, was arrested and charged with her murder after an inept police investigation that turned up no conclusive evidence. Even so, a northern Jew had emerged as a more compelling suspect than a black man, Jim Conley, who was a janitor at the pencil factory and had plenty to implicate him as the killer. Frank was deemed a Yankee outsider by the local citizenry, while Conley, a man of the South and therefore one of their own by default, became the state's star witness against Frank. It was a media sensation. The month long circus-like trial got spectacular treatment from rival newspapers, which helped whip the public into "a degree of frenzy almost inconceivable" (as The Atlanta Journal assessed the local state of mind). Frank was convicted and sentenced to death, and the city overwhelmingly rejoiced. Then, after two years of appeals (which reached the U.S. Supreme Court), he was shown a bit of mercy by Georgia's conscience-stricken governor, who abruptly commuted Frank's sentence to life imprisonment. This only reinflamed the civic uproar. Less than three months later, two dozen prominent citizens took matters into their own hands. This elite lynch mob removed Frank from the penitentiary where he was serving his life term and hanged him from an oak tree in Atlanta's neighboring town of Marietta. Thousands came to see: For them, justice had finally been delivered. The story of Leo Frank has been told in many ways (including "Parade," a Broadway musical), but no more exhaustively than Steve Oney's splendid 2003 tome "And the Dead Shall Rise: The Murder of Mary Phagan and the Lynching of Leo Frank." Now, in "The People v. Leo Frank," filmmaker Ben Loeterman has crafted an historical feature documentary that includes the voices of Oney (chief consultant on the project), former Georgia Gov. Roy Barnes, historians, members of the Frank and Phagan families, and "Parade" playwright Alfred Uhry, among others. Framed by these speakers, the film's dramatizations transport the viewer to a tragic chapter for a region then proudly calling itself "the New South." Loeterman, an award-winning filmmaker whose documentaries have aired on "Frontline" and "American Experience," says the interviews came first. "We laid out the storytelling completely in the words of the interviews," he says, "and then figured out how the dramatic scenes could make the most of what those interviewees told us. "It was critical for me to first get the story straight, before going off and getting distracted by the moviemaking." The characters' dialogue is lifted from transcripts and letters. And the re-enactments were shot on location in and around Atlanta, to capture as much authentic look and feel as possible, even a century removed. A vintage industrial elevator (crucial to the narrative) was found in a building that once stood near the long-gone National Pencil factory. The lynching scene was staged in a bucolic spot not far outside Atlanta, exactly where Loeterman chooses not to say. The impressive cast is led by Seth Gilliam ("The Wire") depicting Jim Conley, and, as Leo Frank, Will Janowitz, who played Meadow's boyfriend Finn on "The Sopranos." Despite a remarkable resemblance to Frank, Janowitz had a challenge in portraying him. Frank was chilly, stiff, high-strung, unengaging. He was, in short, not a showcase character, nor the ideal candidate for any film's protagonist. Nor, as history proved, was he a sympathetic defendant in a murder trial. "He's not a hero, and he's not particularly likable," Loeterman says. Frank was an ordinary man most distinguished by his outsider status. For that, he was savaged. As Loeterman's film documents painfully, the scars still haven't healed.